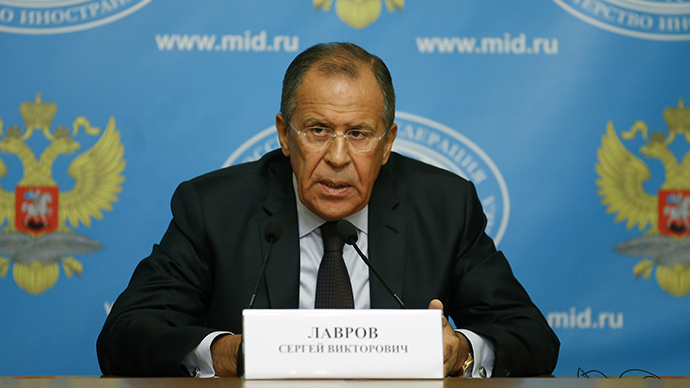 Russia’s only reaction to NATO accusations of interfering militarily in Ukraine will be a consistent position of putting an end to bloodshed and establish dialogue between warring parties in Ukraine, Russia’s FM said. 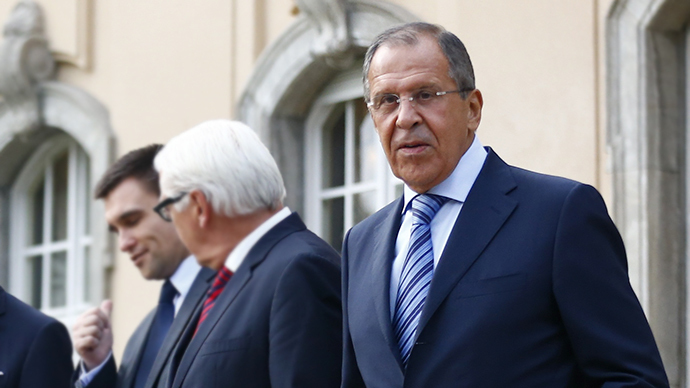 No facts about Russian military being present on the territory of Ukraine have ever been presented, Sergey Lavrov pointed out, while speculation on the issue has been voiced repeatedly, he stressed. “It’s not the first time we’ve heard wild guesses, though facts have never been presented so far,” Lavrov said at a press conference in Moscow. 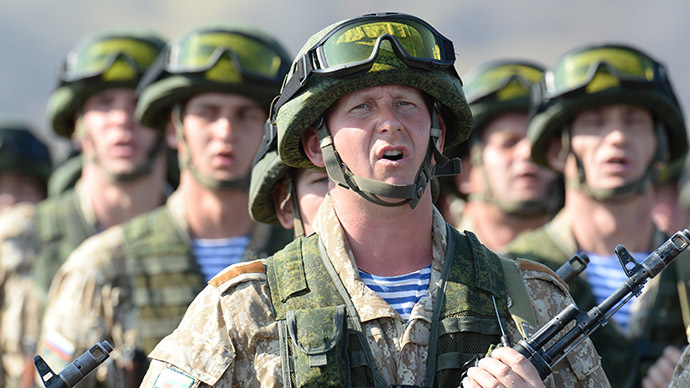 “There have been reports about satellite imagery exposing Russian troop movements. They turned out to be images from videogames. The latest accusations happen to be much the same quality,” he said. 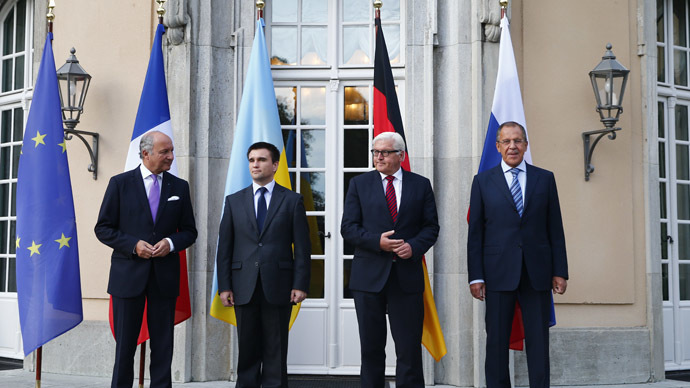 “We’ll react by remaining persistent in our policies to stay bloodshed and give a start to the nationwide dialogue and negotiations about the future of Ukraine, with participation of all Ukrainian regions and political forces, something that was agreed upon in Geneva back in April and in Berlin [in August], yet what is being so deliberately evaded by our Western partners now,” Lavrov said. 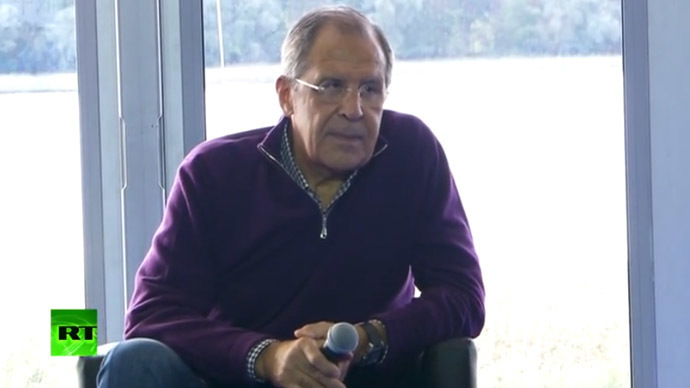 Sergey Lavrov pointed out that the only means to decrease the number of casualties among the civilian population in Donetsk and Lugansk Regions is by self-defense militia pushing Ukrainian troops and National Guards out. 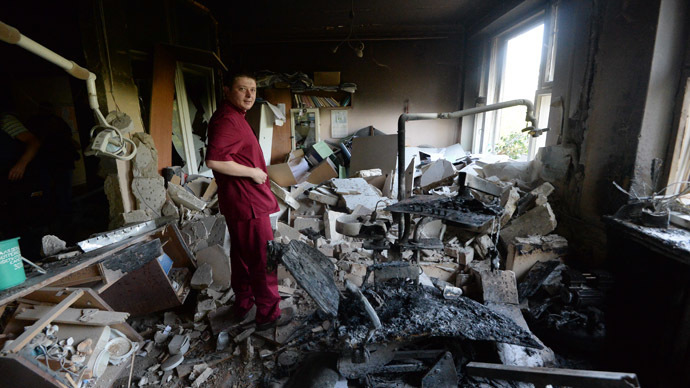 “From a military point of view self-defense militia are doing a very simple thing – they are driving Ukrainian troops and National Guards from their positions used to shell peaceful cities, destroying kindergartens, schools, hospitals, Orthodox churches and infrastructure, and killing a large number of civilians,” Lavrov said. “Definitely, to stop all this given the conditions of Kiev and its sponsors unwilling to fulfill unconditional ceasefire obligations, the only way to save lives of civilians and diminish the number of casualties is to force the Kiev forces out of their positions used for bombardment,” he said. The Russian foreign minister says that in-principle consent on dispatching another batch of humanitarian aid for the devastated provinces of southeastern Ukraine has been reached with Kiev. 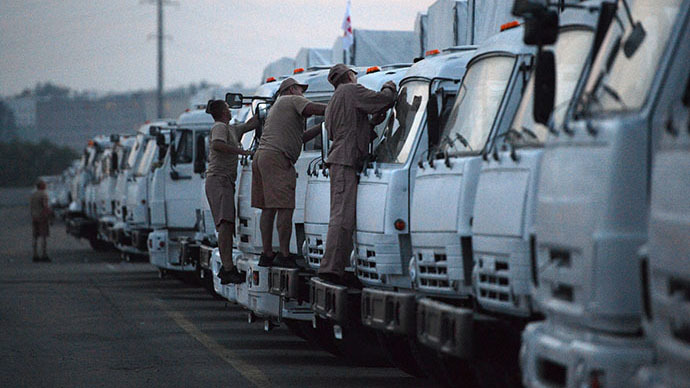 “The day before yesterday we received a note in answer from the Foreign Ministry of Ukraine, in which they gave in-principle consent to the proposal to send Russian humanitarian aid to the southeast and shared their considerations regarding logistics of the second convoy,” Sergey Lavrov said. 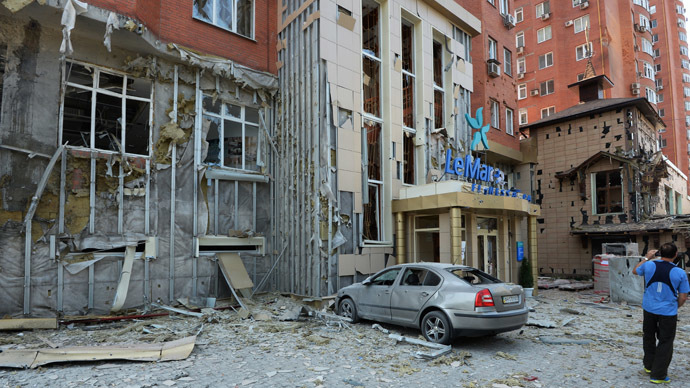 “Yesterday we sent a second note to Ukraine’s Foreign Ministry, which took into account observations of the Ukrainian side,” the minister said, stressing that an answer to Kiev has been already sent. 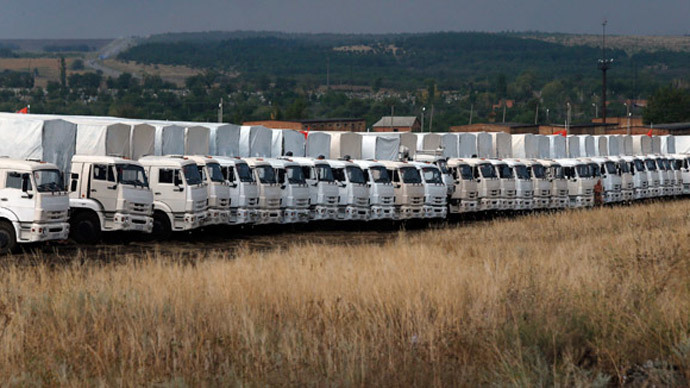 A contact group will coordinate security guarantees of the second humanitarian convoy within days, Lavrov announced. 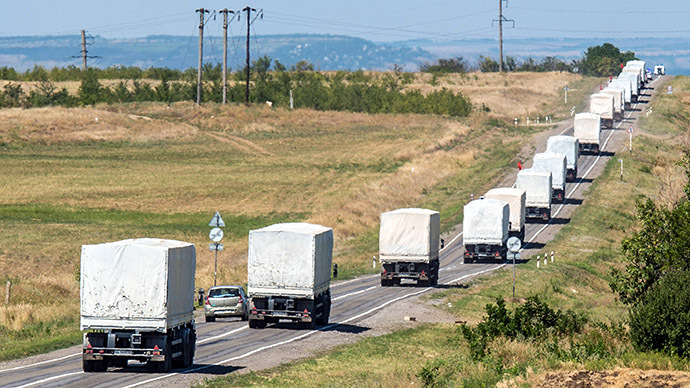 “We intend to reach an accord on the procedures with the Ukrainian side with participation of the International Red Cross, as well as negotiate security guarantees: of the Russian side in delivering the aid to the border, the Ukrainian side of transporting the aid through the territory controlled by the Kiev authorities and the self-defense forces ensuring secure passage of the convoy through the territory controlled by them,” said Lavrov at a press conference.